Almost a year on from their mud bath played out last season, Dartford are at home this weekend against Hampton and Richmond Borough. A week shy from the anniversary of the corresponding fixture last season, the Darts will be hoping to return to winning ways and extend their unbeaten home run in the National South to nine. 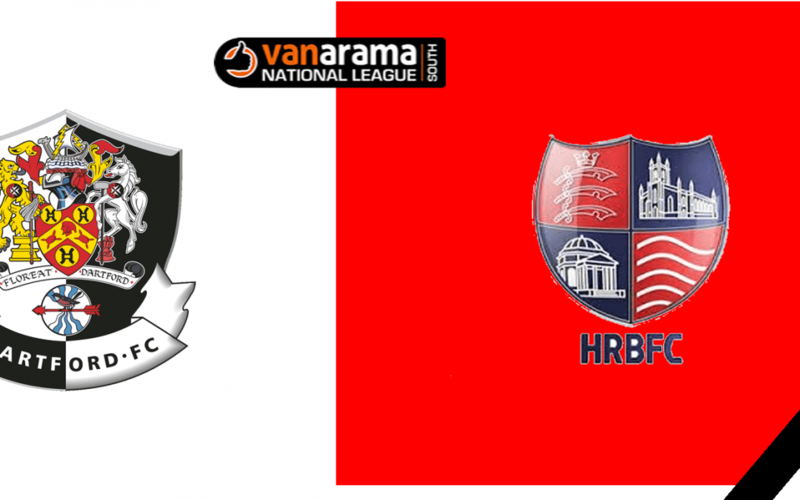 A year ago, both teams were challenging for the title, but Dartford’s last-minute victory on Good Friday all but ended Hampton and Richmond Borough’s hopes. The treacherous conditions made for an extremely scrappy clash, which was decided when Alfie Pavey calmly finished a one on one chance in the final minute. 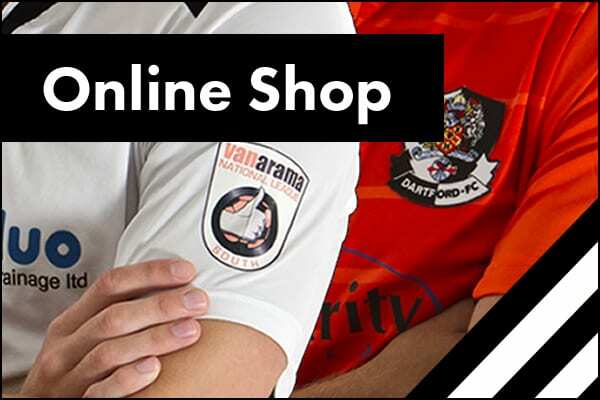 This season Dartford have taken time to adapt to their summer of change but sit in sixth place. Adam Flanagan and Jamie Coyle took their Dartford team to Devon last weekend to take on arguably the best team in the National South. With Torquay United challenging Woking for the title, it was always going to be a tough afternoon for the Darts without the suspended Elliot Bradbrook and Lee Noble in the heart of midfield. That meant Joe Healy made his third start for the club and Jordan Wynter made his first start in a month after returning from injury. Meanwhile, Callum Driver kept his place at full back ahead of Mark Onyemah. Dartford gained an early advantage when the hosts had defender Jean-Yves Koue Niate sent off in the 14th minute. Niate pushed over Darren McQueen when through on goal resulting in the red card. However, the Gulls struck first through top goalscorer Jamie Reid whose low strike deflected beyond Bailey Vose to give Torquay United a half-time lead. The striker netted his 25th league goal of the season in the second half following up Saikou Janneh’s strike to clinch a vital three points for the Devonshire club. Despite the 2-0 loss at Torquay United, the Darts didn’t lose too much ground on those above them. Woking, Bath City, Chelmsford City and Welling United all drew, whilst Billericay Town who are a place below Dartford lost. Regardless of the result this weekend, Dartford will remain in the playoff places come the full-time whistle and could end the day in fourth. Dartford’s home form has certainly aided a promotion push via the playoffs, the Darts have won six of their last seven league games at Princes Park and are unbeaten in the National South at home in 2019. They will have to host their next opponents Hampton and Richmond Borough without the suspended Bradbrook, who will serve the last of his two-match ban. However, Lee Noble will be available after completing his suspension. Last season’s playoff finalists Hampton and Richmond Borough have struggled to get over their disappointment of missing out on promotion. Just like Dartford, the summer brought about many changes at the club with a new manager and a squad rebuild. The Middlesex club sit down in sixteenth place, seven points clear of the drop zone and are likely to play next term in the National South. Initially the Beavers started their campaign in decent form reaching third after ten games, but since then they have won just four of their next 25 fixtures in the National South. Last weekend, Gary McCann’s side fell to a second successive defeat at the hands of playoff chasers Concord Rangers. Hampton and Richmond went behind when Jack Midson scored an early penalty, but the Beavers equalised with a spot kick of their own. Chris Dickson netted his 15th league goal of the season to make sure the scores were level at the interval. The Middlesex side struggled in the second half and in the end Concord Rangers ran out 4-1 winners when Daniel Green, Midson and Juan Prados added to the scoreline. Away from the Beveree, Hampton and Richmond Borough lost their last outing narrowly to Bath City. However, they did go to Oxford City and record an entertaining 5-3 victory three days prior. The eight-goal thriller was the Beavers first away win in ten stretching back to mid-September. At Princes Park in November, Charlie Sheringham’s headed goal was enough to beat Hampton and Richmond Borough at the Beveree. In recent years Dartford have had the better of the Beavers, last season Pavey scored the winner and in the away fixture, the Darts fought back from two goals down to draw 2-2 thanks to goals from Andy Pugh and Elliot Bradbrook. Dartford have won the last three at Princes Park, Bradbrook, Alex Brown and Ronnie Vint scoring in a 3-1 win in 2017. Whilst Sheringham and Bradbrook also scored in the home clash eight years ago, which Dartford won 2-1. The Darts have lost one of the last seven meetings with Hampton and Richmond Borough (W5, D1, L1), but have failed to win on their last two visits to the Beveree (D1, L1). Only Gloucester City (2) have scored fewer goals than the Beavers (9) in the opening 30 minutes of league matches. Hampton and Richmond Borough have also conceded the most in the first half hour (24) and the most first half goals (32). Only two teams have conceded fewer than Dartford (9) in the first half hour, but the Darts have let in the most in the 15 minutes leading up to the interval (13). Chris Dickson has scored 15 (40%) of Hampton and Richmond Borough’s 38 league goals. The highest portion of a club’s overall total in the division. Dartford have an excellent record in games played on 23 March winning 11 of their last 13 going back to 1964. The most recent victory was a 3-0 home win against Gateshead six years ago in the National League. Ryan Hayes came off the bench and influenced the final half an hour with two well taken goals and an assist for Charlie Sheringham. In 2010, Dartford lost 1-0 to Margate in the Isthmian Premier League, but before that slip up Dartford won five in a row against Fleet Town (3-0 in 2004), Sittingbourne (2-0 in 2002), Northwich Victoria (1-0 in 1985), Romford (3-2 in 1976) and Chelmsford City (2-0 in 1974). A draw in the Kent Floodlit Cup with Gravesend and Northfleet in 1971 prevented Dartford winning 11 in a row on this day. Prior that draw the Darts also beat Folkestone Town (2-0 in 1970), Gloucester City (1-0 in 1968), Erith and Belvedere (6-2 in 1966), Gravesend and Northfleet (3-0 in 1965) and Ramsgate Athletic (3-1 in 1964). SEATING: Seating is available on a first come first served basis in certain areas of the stadium. PARKING: Parking is free of charge in the clubs car park but is a first come first served basis. Aston Anderson are a team of qualified professionals, with great experience in the property industry. Aston Anderson have invested heavily in the latest innovative marketing technologies and property portals. We also have an extensive network and are able to bring sellers and landlords together with buyers and tenants respectively. We cover up market housing in sought-after residential areas suitable for professional individuals, couples, group sharing and families alike. With over 175 years’ trading experience, the Howarth Timber Group has grown to provide not only the widest range of products, but expertise, service and knowledge you can rely on. Now the UK’s largest privately-owned timber company, our origins can be traced back to 1840 when we commenced trading as Hudson & Co. Over the years the Howarth Timber Group has expanded from a one man company to an employer of more than 1,000 people specialists who know the industry inside out. Today, the Howarth Timber Group encompasses a network of 30 timber and builders’ merchant branches geographically spread across the country, complemented by dedicated manufacturing divisions supplying class-leading windows and doors and highly specialist timber engineering products and services. The group has achieved Chain of Custody certification covering all divisions, proving compliance with government specifications for timber sourced from legal and well-managed sources. The accreditation also confirms that the company meets the requirements of the construction industry’s independent third party audit organisations. We work consistently to reduce the impact our activities has on current and future generations. With a continued clear focus, the Howarth Timber Group is proud of its place at the very forefront of its industry.